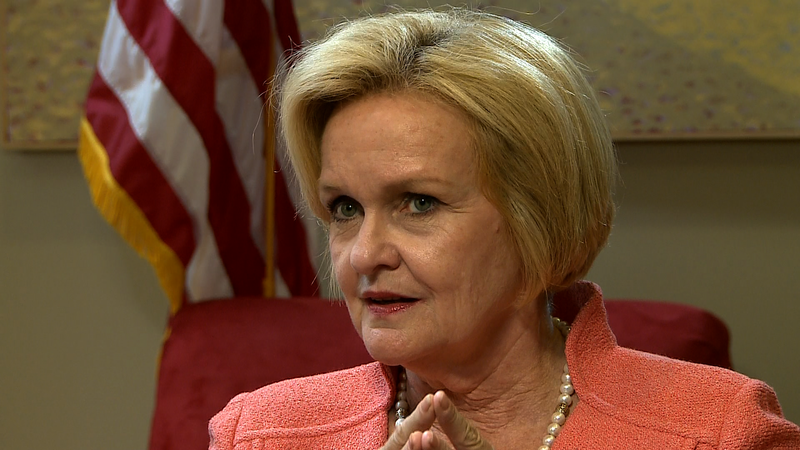 (CBS News) Sen. Claire McCaskill, the first-term Missouri Democrat in a tough re-election battle, is the latest Democrat to decide to skip the Democratic National Convention in September, Talking Points Memo reports. President Obama will formally receive the party's presidential nomination at the event. The senator's campaign reportedly said McCaskill routinely skips the national convention when she's up for re-election, as she did in 2004 during her Missouri gubernatorial bid. Still, the Republican Party was quick to point out that McCaskill's absence will stand in stark contrast to her presence at the 2008 convention, where she was a speaker. The senator joins North Dakota senate candidate Heidi Heitkamp - whose spokesperson said she will spend the time campaigning - and a handful of other vulnerable Democrats avoiding the president's official nomination. Earlier this month, the West Virginia Democratic Party announced three Democrats -- Sen. Joe Manchin, Gov. Earl Ray Tomblin and Rep. Nick Rahall -- aren't planning on joining West Virginia's delegation. The president is notoriously unpopular in the state, as evidenced by the West Virginia primary earlier this year in which he lost 41 percent of the vote to a convicted felon. Additionally, New York Reps. Kathy Hochul and Bill Owens recently told The Daily they're skipping the event. While Owens' campaign said the congressman has a "packed schedule," Hochul told The Daily, "I guarantee that my time will be better spent meeting the farmers, small business owners and other people who put me here." Montana Democratic Sen. Jon Tester is also skipping the convention, the Hill reports. His Republican challenger, Rep. Denny Rehberg, is skipping the Republican convention where Mitt Romney is expected to receive his party's presidential nomination. Democratic Rep. Mark Critz of Pennsylvania is also opting to stay on the campaign trail in lieu of going to the convention. Critz's campaign spokesman told the Pittsburgh Tribune-Review that the decision was "pretty easy" given how unpopular Mr. Obama appears to be in Critz's newly-drawn district.